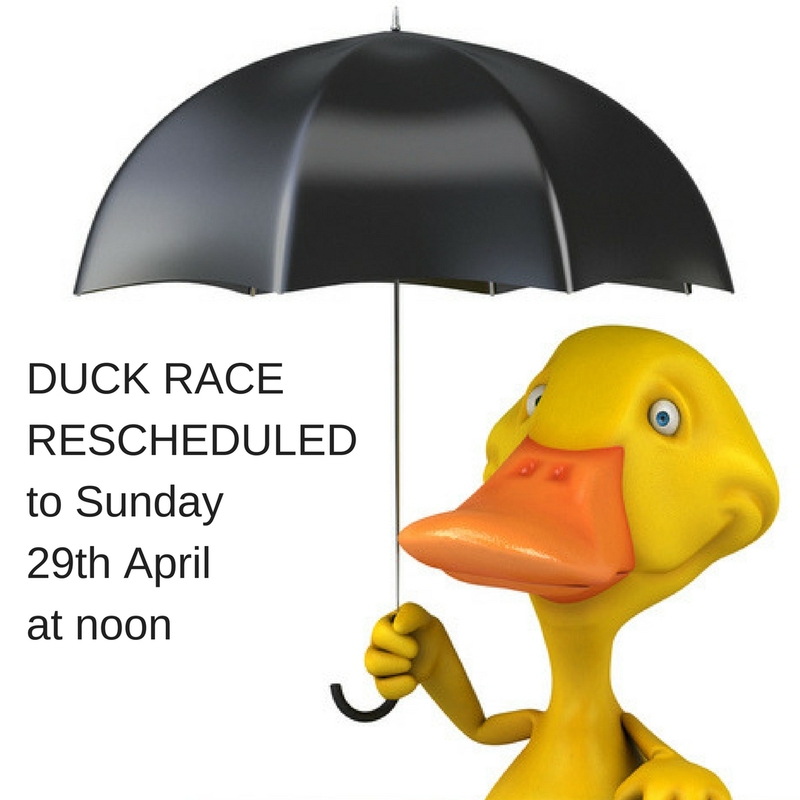 We have had to move the Duck Race to noon on Sunday 29th April… the finish line pier is already submerged, with more rain forecast, and conditions likely to be unsafe for the duck retrieval kayakers. In addition, there’s risk of ducks ‘escaping’ beyond the barriers and no safe place for volunteers to stand when collecting retrieved ducks. We are so sorry to have to change the date, but wanted to give you plenty of notice so you can make new plans for Bank Holiday Monday. Meanwhile, all ducks sold will still be valid for the new date and what’s more, the weather on the actual day MIGHT be better!